Because of a lot of bad publicity about Libby and the Libby vermiculite mine, most of the larger "box stores" no longer stock and supply vermiculite. 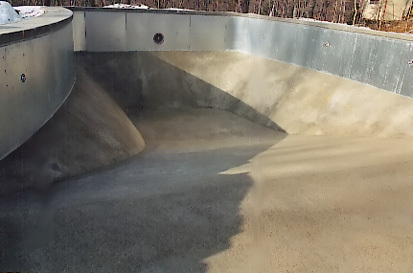 Nevertheless, vermiculite continues to be used by professional pool contractors, by large greenhouse growers, by industrial fireproofing manufacturers and applicators, by installers of insulation, by industrial manufacturers and commercial businesses. Unfortunately, homeowners and hobbyist have had problems find sources for relatively small quantities, and so this site has been designed to try to help them find and purchase vermiculite. Not all vinyl liner contractors and dealers use vermiculite, but first try your local pool stores and dealers to see if they will sell you any regular pool base vermiculite (what we call V+16 Pool Base) or the pre-blended product that is a mix of vermiculite and portland cement (what we call Ultra Mix II). Many dealers will not sell the vermiculite to you since they feel the DIY pool builder is taking away from their livelihood. Nevertheless, try to persuade the dealer that you intend to build your pool one way or the other and you will need to purchase chemicals for the lifetime of the pool, and, therefore, they should help you now in the hope of gaining another good customer. just before the liner is installed. If that fails, a listing of distributors throughout the country can be found at The Pool and Spa News Online Directory. The distributors usually will not sell direct, but they may tell you the name of a dealer near you who may. Or, you can try local garden centers and/or greenhouses and see if they can get some fine grade vermiculite for you. The grades used for the horticultural industry range from a fine to an extra coarse, and for swimming pools you want the fine grade. On the west coast, you will have a lot of trouble finding vermiculite. We recommend you try perlite concrete aggregate and just follow the directions we have for mixing and troweling V+16 Pool Base. Unfortunately, manufacturers like The Schundler Company normally sell to distributors in our distribution area. As such, we really don't know which local dealers or contractors have our materials or use them. And other manufacturers are the same. We also aren't set up to handle retail, to ship in small lots, or to have homeowners come to our plant to purchase material. Nevertheless, if all else fails, we suggest you contact us or locate a vermiculite manufacturer near you. If you want quite a few bags (4 cubic foot bags) of perlite or vermiculite, we suggest you contact your local garden center or greenhouse, and see if they can help. Don't bother with the large box stores (Home Depot, Lowes, Wal-Mart) since they often stock only small bags, and may not stock any vermiculite. 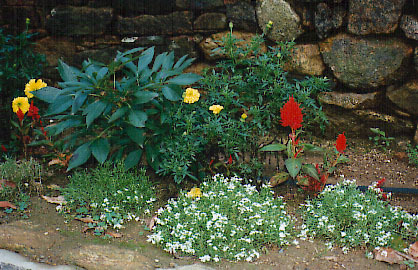 Garden Centers and greenhouse operations purchase materials from distributors who do stock and carry large bags of perlite and vermiculite, and they might help you and/or sell you materials directly. You can also try regional chains or farm stores like Agway, Pennington Seed, Southern States, etc. Again, if all else fails, then contact a local manufacturer. There are a lot more perlite manufacturers than vermiculite manufacturers, and the perlite producers can be found at The Perlite Institute. Unfortunately, there is not a readily available listing of vermiculite manufacturers since the Vermiculite Association membership is mostly mining companies and consultants, and most of the major manufacturers in both the United States and Europe are not members. For lab packing grades of vermiculite, industrial grades of perlite or vermiculite, and any other uses, feel free to contact us (email: info@schundler.com) or a manufacturer close to you. Essentially vermiculite is a member of the phyllosilicate group of minerals, resembling mica in appearance. It is found in various parts of the world, but currently the major mines are located in South Africa, China, Brazil, Zimbabwe, and the United States. The largest operating mines today are located in the Palabora region of North-Eastern Transvaal in South Africa, in the northwestern corners of China, and along the eastern Appalachian range in the United States (Virginia and South Carolina). The vermiculite ores from these mines are different forms of hydrated phlogopite or biotite mica which has the remarkable ability of being able to expand to many times its original volume when heated---a property known as exfoliation. From a geological perspective, almost all of the commercial vermiculite mines operating today work in deposits which were formed in pre-Cambrian and Archean deposits (1.5-3.0 billion years old). These are quite different from the former Libby, Montana deposit which was Triassic in age (225 million years old). These sizes and values are given for general information purposes only. All manufacturers do not necessarily produce all these grades, and many use grades which may not conform to these specifications at all times. We hope this page has helped! And please recommend links, or make other suggestions that will make purchasing vermiculite easier for others! If you came to this page looking for Stansbury Mining Company, they did have this domain name for several years. They are no longer in the vermiculite business, and let us have the www.vermiculite.com domain. Stansbury Holdings can be found at http://www.stansburyholdings.com.